First thing’s first: what’s a copper dog? Back in the day, distillery workers needed a way to sneak some whisky. One of the more popular methods was taking a piece of copper tubing and soldering a penny on one end. When no one was around, they’d pop the bung on a cask and dip the “copper dog” into it. Once filled with whisky, the copper dog was sealed with a cork, dropped down the worker’s pants. Hey, people will always find a way to have their dram of whisky. Ingenious! Onto the whisky. In 2014, Piers Adams purchased the Craigellachie Hotel in the Speyside region of Scotland. As you’re aware, Speyside features the highest concentration of distillieries in that country. Adams named the hotel pub “Copper Dog” and sought out the creation of a whisky. Adams teamed up Stuart Morrison, master blender of Copper Dog, to come up with a new whisky blend. The resultant blended malt features whiskies from at least eight Speyside distilleries of various ages and cask types. It’s bottled at 40% ABV and priced at about $32.99. And I’ve got to say, it’s quite good. Copper Dog’s nose features hints of spiced pears and crisp apples, alongside toffee and vanilla and some baking spice. The palate features similar notes – orchard fruits, spice, and vanilla. There’s also an element of dried fruit, which indicates some sherry casks. It’s low proof still yields a slightly creamy whisky. The finish has hints of dried fruit, spice, and just a touch of oak. Thanks to Copper Dog for the sample. As always, all thoughts and opinions are my own. Johnnie Walker Green Label is the odd one of the bunch. It is a blended malt whisky, whereas all other Johnnie Walker whiskies are blended whiskies. Blended whiskies contain malt and grain whiskies. Blended malt whiskies are strictly a blend of malt whiskies. There’s no grain whisky to be found in this bottle. A quick internet search reveals Johnnie Walker Green Label is a mix of Talisker, Linkwood, Cragganmore and Caol Ila single malts, all aged at least 15 years. In late 2013, Diageo, owners of the Johnnie Walker brand, announced a discontinuation of Green Label to all markets except Taiwan. 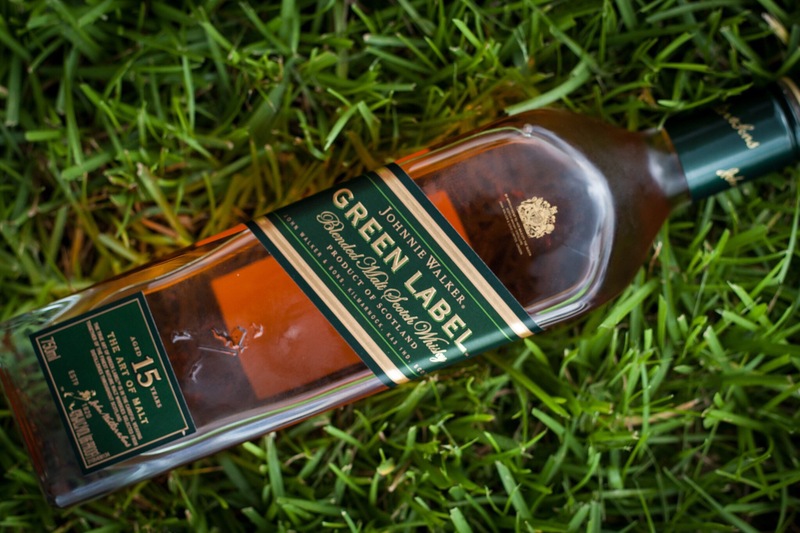 In 2015, Johnnie Walker Green Label started showing up on shelves here in the U.S. in small numbers. This could be a limited run, however, as JW Green isn’t listed as part of the Johnnie Walker lineup on their website.